Ablebody is the solo project of guitarist Christoph Hochheim, who formerly played in noteable acts such as Pains of Being Pure at Heart and Depreciation Guild. 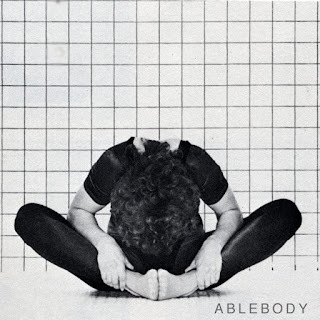 Hochheim had been releasing music over the last year under the name Ablebody, dishing out an EP of covers, crafting remixes and demoing original material. The All My Everybody EP is said to be "like playing percussion jazz tapes in a Chinese garden or walking half-awake through an Eastern Emporium, where Hochheim presents sentimental trails of creative resolve." With Anton, Christoph's brother, taking over on drum arrangements the future looks bright for Ablebody and I look forward to what it holds. Enjoy the EPs first single, "Phantasy" below. Album Review: Beach Fossils - "Clash The Truth"
Watch: Kendrick Lamar - "Poetic Justice"
Album Review: Matt Costa, "Matt Costa"
Watch: HAIM's Music Vid for "Falling"
Watch: The 1975 Debut Video for "Chocolate"
Caveman Release New Album "CAVEMAN"
Listen: RAC Remix Ra Ra Riot's "Beta Love"
Album Preview: Phoenix - "Bankrupt!" Watch: Jim James' Music Video for "A New Life"
Listen: J Dilla - "Anthem"
Listen: Youth Lagoon - "Mute"
Listen: Alabama Shakes - "Always Alright"
Listen: Sin Fang - "Young Boys"
Listen: New Shout Out Louds Song - "Illusions"
Watch: Beach House's Short Film "Forever Still"